Refer official F1 Autocentres Website to view full Terms & Conditions. The service centre offers the most comfortable service for your car, particularly for tyres, Exhausts, Brakes, Clutches, Shocks, Batteries, MOT Testing and others. apart from this, the service point offers you many service, such as you can evaluate the price online, products, service remainder (once registered the F1 Autocentres, it will remind you when at the time of the service so that your car function smoothly without any break.) and others. You can find the centre, as the service point has more than 80 state-of-the-art branches with 500 highly trained technicians. You can get guaranteed service at the most comprehensive price rate. Let’s get your car secured with F1 Autocentres. Are you looking for the best motor service centre that takes care of your vehicle 24/7? Are you a concerned consumer who wants his vehicle fit forever? Yes? 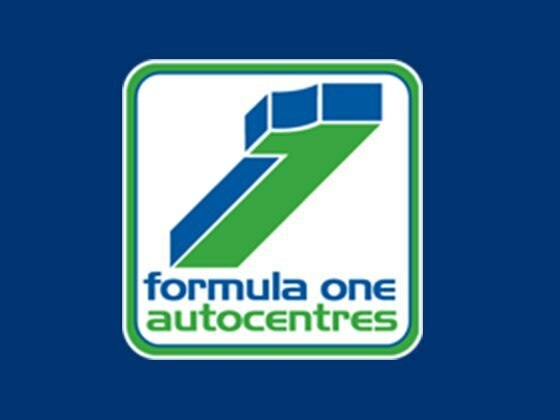 Here’s a solution at F1 Autocentres –the leading service centre for your cars, no matters wherever you live in the UK. the aim of the autocentre is to provide the fast-fit service to its customers, as it provides clean, modern premises and high-tech equipment with well experienced technician. You get complete and unique service at the most competitive price. Moreover, you get the exceptional discounts and offers on the service.